Florspec have completed a new tiled floor installation using UltraFloor and UltraTile as part of the Ann Summers Gloucester refurbishment. Working in partnership with Oakwoods which is a regular refurbishment contract over the next few months. The Gloucester store was one of the most recent to be reopened in May following the new floor installation. 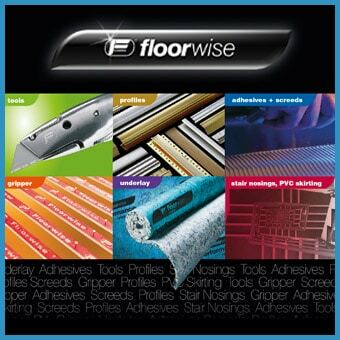 High flow, two component smoothing underlayment, Level IT Two is UltraFloor’s most popular leveller. It is compatible with a vast number of subfloor preparation projects and laid on after 12 hours. Level IT Two is suitable for depths between 2-12mm, can be used with underfloor heating and may be applied before the application of a damp proof membrane or a vapour suppressant. Level IT Two has been on the market for the last ten years. Level IT Two was used alongside trader’s favourite, rapid setting flexible ProRapid RS cementitious tile adhesive, which was used to fix the floor tiles. Sold in 20kg bags this high strength adhesive can be applied at thicknesses up to 12mm and has a pot life of 1 hour. Contractors may begin grouting 2.5 hours after the application of ProRapid RS, subject to temperatures and conditions. For further product information, please visit instarmac.co.uk or to place an order call 01827 254402.